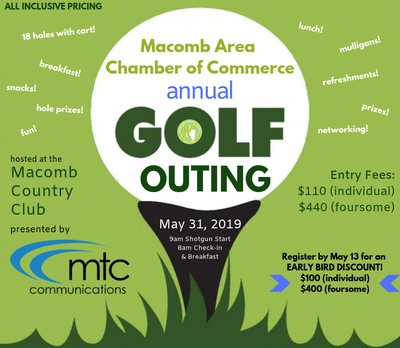 $100 per golfer or $400 per foursome if registered by May 13 ($110 per golfer after that). All inclusive! 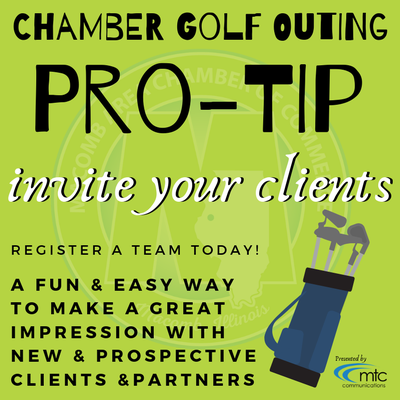 18 holes of golf with cart, breakfast, lunch, snacks & refreshments, mulligans, hole contests & other fun prizes! 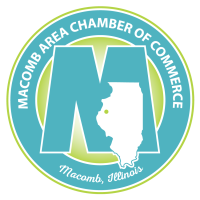 The annual Chamber Golf Outing is our largest event of the year! It is full of networking, camaraderie, and fun! Register by May 13 for an early bird discount! Discount will be automatically applied at checkout. There are are sponsorship opportuniites available! Click here for more information.